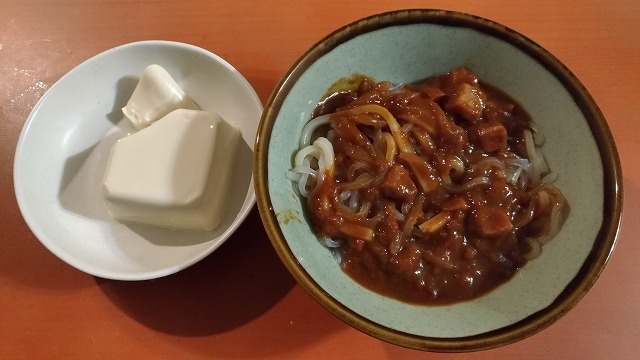 Useing a frozen udon I bought the other day,I will make dinner for focusing on bellow the gole of sugar. you can divide carolie intake and sugar. you use low carbo as you can. You have to get less foods that has much sugar and put low carbo foods in your meal. 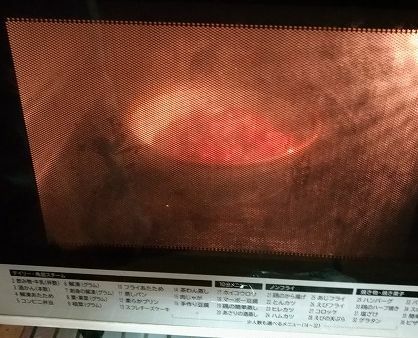 Cooking time is about 7 min. You make meal for two by one. You choose low-carbo foods if you can. 10g per pack is ideal! First of all,you make a pretreatment. 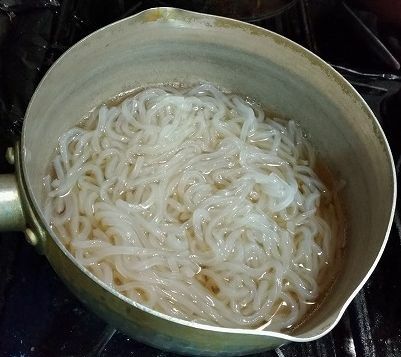 Gettig rid of the smell and for seasoning mentsuyu like soysource and boil. 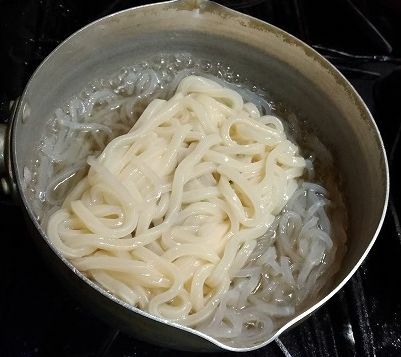 You put water into the pan as same thick as frozen noodle. It's shorter to cooking time. 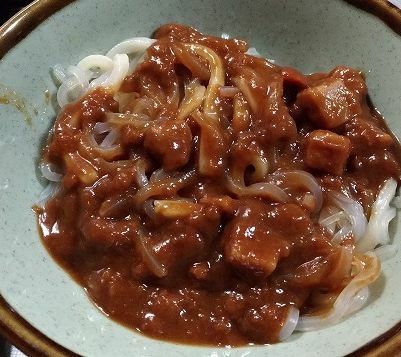 Put pre-packaged curry in udon. Heat up this in 2 min by microwave 600W. 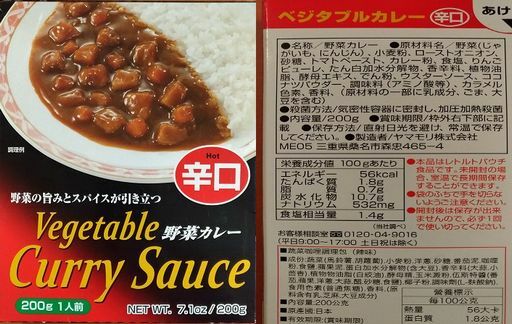 Calorie:bellow 600kcal per 1 meal. Sugar:bellow 43g per 1 meal. It puts sauce on this well. Already cut length of easy to eat.